ATTENTION: All dates indicate the beginning of the period when product starts shipping from our warehouse to retailers. 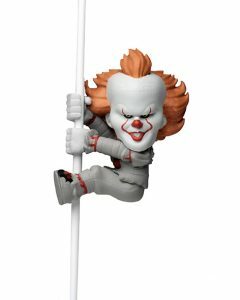 From the revered 1990 horror mini-series Stephen King’s IT, Pennywise is ready for action as a Scalers mini character! 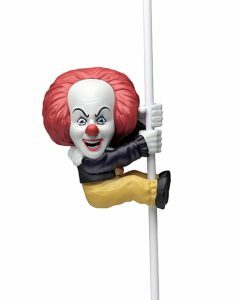 These cute collectibles are only 2” tall and attach to headphone cords, cables, straps and more for on-the-go fun. Collect your favorites and take 'em anywhere! Item # 14828 Click here for more info.